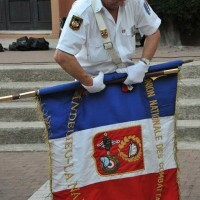 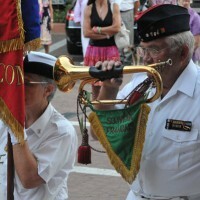 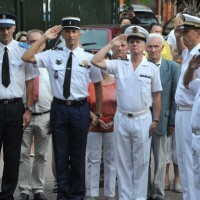 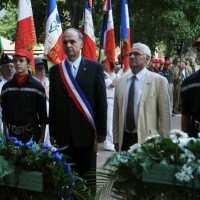 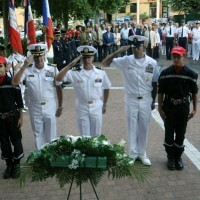 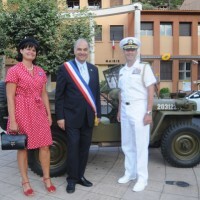 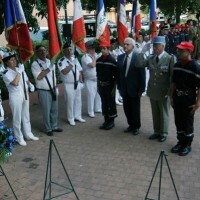 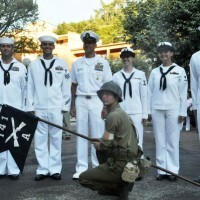 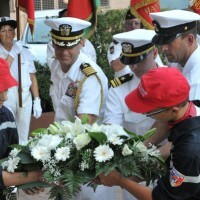 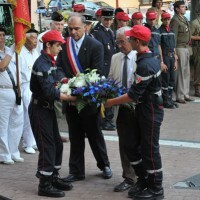 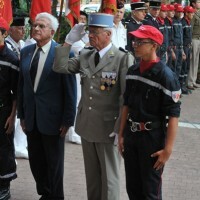 On August 16, 2013, during the liberation of Theoule 69th anniversary, tribute was paid to American soldiers Place General Bertrand, before the stele of U.S. soldiers fallen in battle. 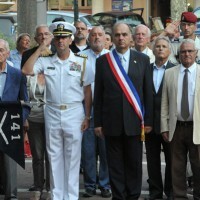 This ceremony has a strong symbolic value in the heart of Théouliens. 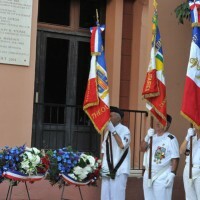 Indeed, it commemorates the day in the history of the liberation of the city by soldiers of the Army of the United States of America and permanently seals the friendship between our two countries. 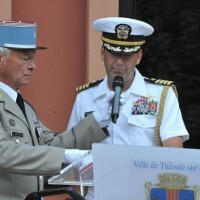 The first to set foot of the Maritime Alps were the French Naval Assault Group of Commander Seriot from Corsica that on the night of August 14 to 15, 1944, gained a foothold on the rocks of Theoule coves in dramatic conditions . 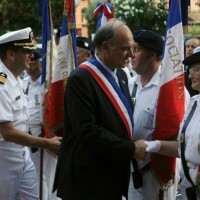 During the terrible day of August 15, the formidable armada of allied armies, American, English, Canadian, African and French, began the inexorable march to the conquest of French soil. 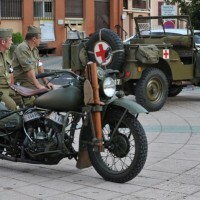 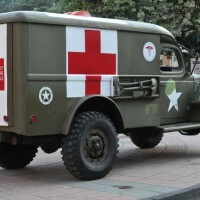 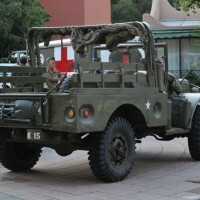 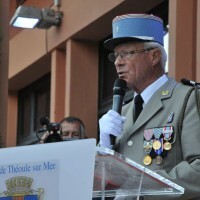 On August 16, a commando of the 141st Infantry Regiment of the 36th Division of the United States of America managed to enter Theoule after heavy fighting. 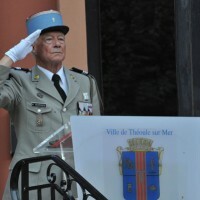 Unfortunately, this battle that was to make of Theoule the first freed town in the Maritime Alps, cost the lives of nine American soldiers. 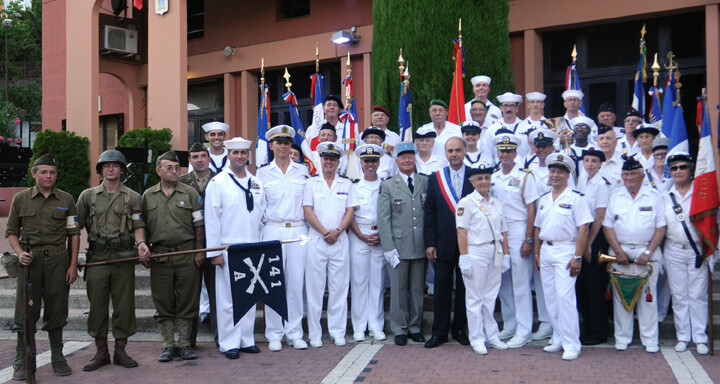 The ceremony at the 69th anniversary of the liberation of Theoule, before the remembrance plaque, gave once again the opportunity to thank and honor our American allies who came to fight on French soil. 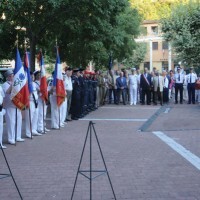 These brave men in the prime of their youth, filled with an ideal of freedom and democracy, have left their homeland and their families to fight alongside the French. 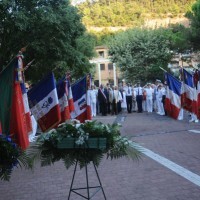 Guided by their sense of duty and honor, they poured their blood on the rocks of the Esterel, sacrificing their lives for the values of freedom that we have in common. 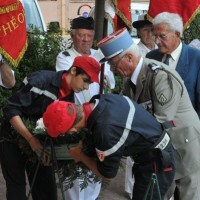 They liberated the town of Theoule and freed us from the yoke of Nazism. 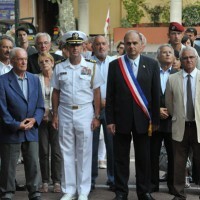 Captain Michel Raymondie called to honor all combatants and especially the Americans heroes who deserve our recognition. 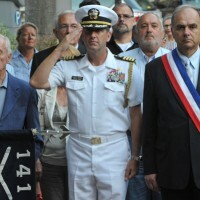 After the wreath-laying ceremony, Navy Captain Robert Buzzell has been calling out the names of the fallen soldiers from the 141st Infantry Regiment of U.S. Army so that their names are forever fixed in the memory of the Théouliens and French people who owe them their freedom. 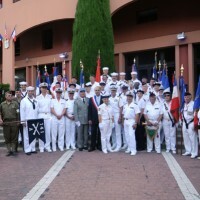 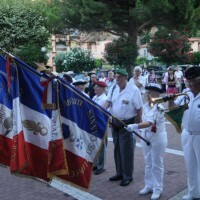 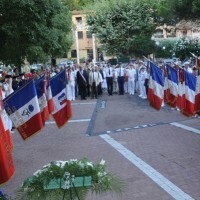 The Americans and French anthems were played by the Quintet of the USS Mount Whitney, sitting in anchor in the bay of Theoule for the liberation of Theoule and landing in Provence ceremonies. 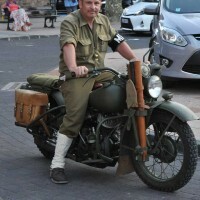 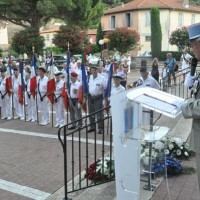 The 69th anniversary of the liberation of Theoule ended with a giant aïloi who gathered at Pointe de l’Aiguille military and civilian personnalities, flag-bearers and the public. 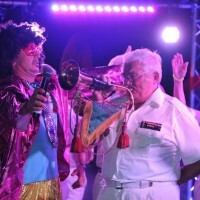 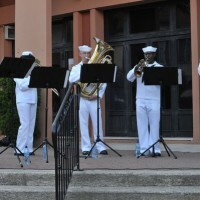 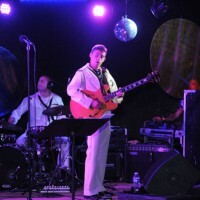 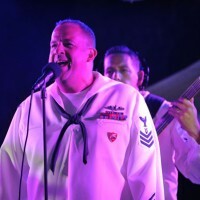 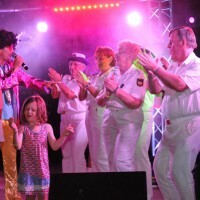 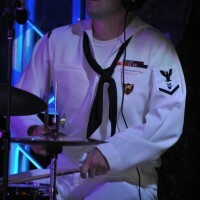 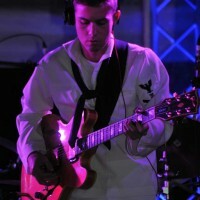 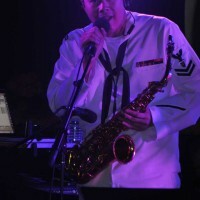 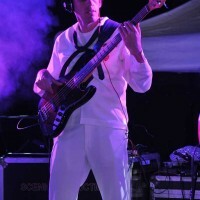 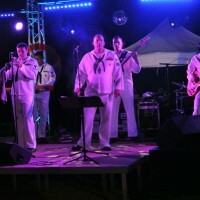 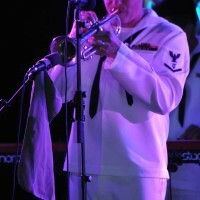 The delicious aïloi was tasted in music thanks to the exceptional quality of the USS Mount Whitney band who entertained the audience with its wide range of rock, blues and soul songs. 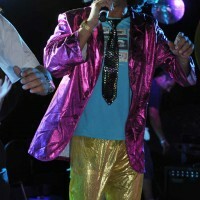 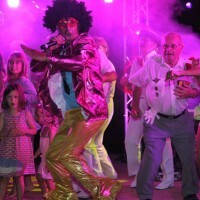 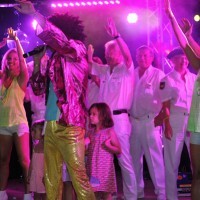 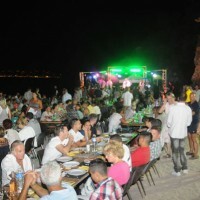 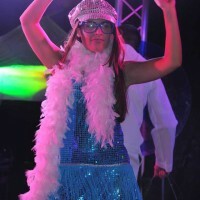 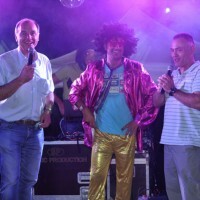 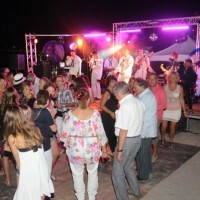 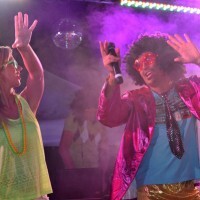 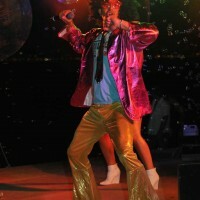 The evening then continued in a lively disco atmosphere, bringing everyone to dance. 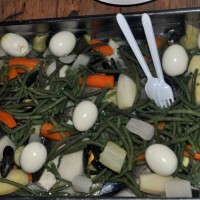 The aïoli – Bon appétit!